Maggie: [as Wendy in the play] Boy, why are you crying? Q: Why did Hook wait so many years to go after Peter? Q: Why does Peter forget that he is the Pan? Q: How are we to interpret the movie? Was it just a dream? Once upon a time, there was a well-known story we all grew up with in some way or form named "Peter Pan". It was about a boy who never grew up named Peter Pan who took three kids named Wendy, John, and Michael to a magical place called Never Land. Think of Never Land as the ultimate vacation place almost exclusively for kids. It's a place where mermaids and pirates roam the seas, kids can do battle with pirates and Indians on land or by sea, and any grand kids' adventure you could think of can easily be found. Peter Pan's allies on the land include a trouble making fairy named Tinker Bell and a group of uncivilized children known as the Lost Boys. With their assistance, Peter Pan defeats, but not kills, his most dangerous opponent Captain Hook. Then he returns the three kids back home to London and they all live happily ever after. Once upon a time, a film by renowned director Steven Spielberg titled "Hook" (1991) was created. It told the story of what happened if Peter Pan did grow up. And the story they came up with is as such. Peter Pan (Robin Williams), now named Peter Banning, is a successful lawyer who is having trouble connecting with his children due to constant broken promises and absences. The last straw comes when Peter is unable to attend his son's baseball game. The family goes to London to visit their grandmother Wendy Darling (Maggie Smith) to support the expansion of her orphanage. That night while the parents attend a ceremony for the orphanage, the kids are kidnapped with a note left behind by a "Captain Hook". When Wendy tells him that Peter is indeed the real Peter Pan, Peter is naturally in disbelief. Later that night, Tinker Bell (Julia Roberts) appears, knocks him unconscious, and takes him to Never Land. When he awakens, Peter discovers that his children are indeed under the captivity of Captain Hook (Dustin Hoffman) and that they will remain so until Peter accepts Hook's challenge to a duel. But seeing that grown-up Peter is completely out of shape in this world, Tinker Bell intervenes with Captain Hook and she is granted three days to prepare him for the duel. While Peter is being trained by Tinker Bell and the Lost Boys and regaining the erased memories of his childhood, Hook attempts turning Peter's own children against him so that they'll stay in Never Land permanently. Now I have to admit that the premise itself is actually pretty interesting. I know in my review of the TV series "Once Upon a Time" I've gone on record of saying that I'm not into revisions of well- known stories at all. But with said, I thought it was very smart to make Peter the exact opposite of what he used to be in his childhood: a busy father with little tolerance for childish behavior. It's especially smart in that this is the last person that you'd think was Peter Pan. 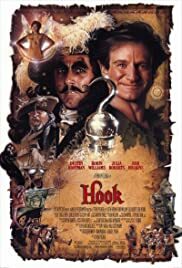 If I were to summarize "Hook" in a nutshell, it would be that it has the settings and characters of "Peter Pan", but the story and moral of "Mary Poppins" in a way. Its moral being that embracing the playfulness of childhood when you're a parent is an important way to connect more with your kids, and also actually being there for your children. And while the moral isn't executed that strongly, its heart is in the right place. 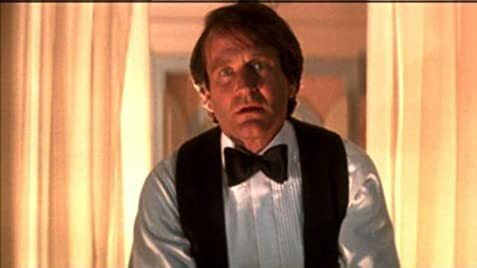 Robin Williams was well cast in this role with his switching back and forth between the strict father and the child-at- heart. Also inspired casting is Dustin Hoffman as Captain Hook. Remember his evil laugh when he comes up with a plan to force Peter's kids to hate their dad? I'm sure I'm not the only one cracking up alongside Captain Hook. The best thing Hoffman does with his role is capture the hilarity and over-the-top nature of Captain Hook as depicted in the Disney picture without screwing it up. 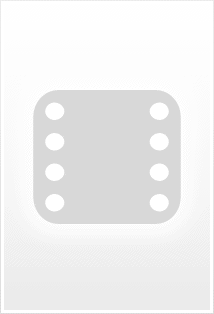 Lying within "Hook" however are some numerous and major plot holes. The most significant one of all is when Captain Hook fails to kill grown-up Peter Pan upon discovering he can't fly even though Hook swears he's going to kill him anyway. Now why would Hook let an opportunity such as this sneak through the cracks so easily? If he's doing it out of a moral code or rule that the citizens of Never Land use with their battles, an explanation regarding what it is was never given to us. I mean there's no way he'd be that generous with Peter by agreeing to Tinker Bell's offer in the first place. For that matter, why did Hook consider her trustworthy to keep such a promise? Isn't she supposed to be on the side of the Lost Boys as opposed to Never Land's #1 referee? This plot hole is made even larger in the film's climax which I won't reveal or talk about since it would ruin the experience for the few who haven't seen it yet. Bottom line: Captain Hook blew a great opportunity while his opponent was down. The subplot involving Hook trying to manipulate Peter's children into joining his crew is a very clever idea. It takes advantage of Peter's current status and hits him where it hurts the most. I'm split on the film's set designs since effort was clearly put into it and yet Captain Hook's ship never sails in the film. Not one time does it go off to sea and I have no idea why. Ultimately, "Hook" isn't the best project brought to us by Steven Spielberg. But give the film this much credit, it had some clever plot details weaved into the mix, the dilemma grown- up Peter undergoes is new, and Williams and Hoffman give it all they got. That's enough for me to consider "Hook" a guilty pleasure.